HyperBrush Technology–The Dolphin Escape comes with advanced HyperBrush scrubbing brush to effectively clean, scrub and shine every little corner or area of your pool without damaging the above ground pool liner. HyperGrip Rubber Tracks – It has a strong and powerful grip on the pool surface with its HyperGrip Rubber Tracks which offers low vibration and high performance while pool cleaning. SmartNav Scanning – Based on your pool shape, the SmartNav technology in Dolphin Escape Robotic Pool Cleaner automatically scans your pool area to calculate the optimum path for a more efficient and faster cleaning cycle. 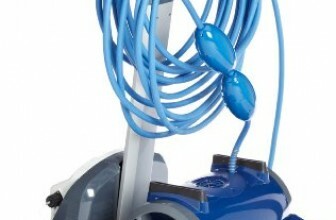 Swivel Cable – The Dolphin Escape Robotic Pool Cleaner comes with a patented swivel cable which prevents tangling and helps to clean the remotest pool corners with ease. The Dolphin Escape Pool Cleaner comes with an Advanced Filtration system that cleans debris, dirt and silt of all particle size from large leaves to small ones. It has a 1.5 hour pool cleaning cycle. It has an easy clean cartridge filter that also includes spring clean-up filter. This prevents algae and silt particles from clogging up the motor. The Dolphin Escape Pool Cleaner is lightweight and portable with a total shipping weight of 32 pounds. 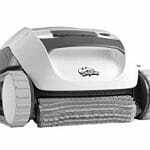 It comes with a fast water release system for efficient and responsive pool cleaning. 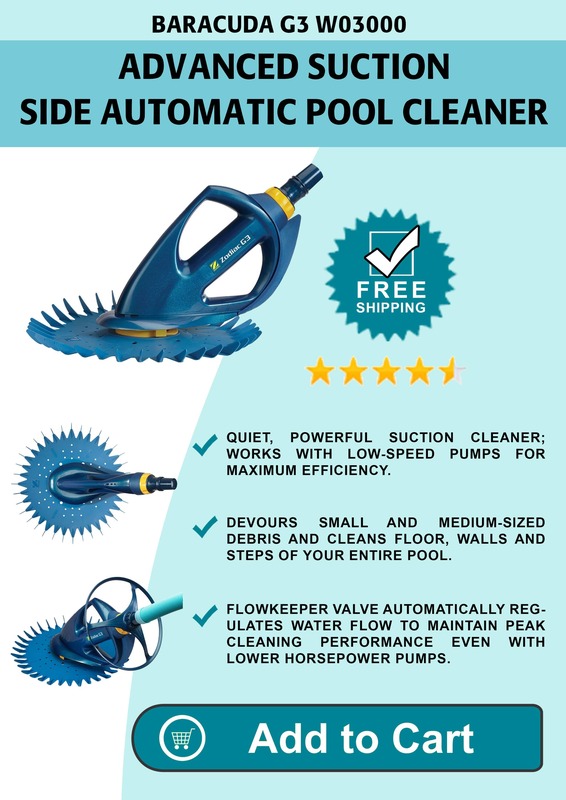 The Dolphin Escape Pool Cleaner comes with advanced features like HyperBrush, HyperGrip and SmartNav which makes it a fast, responsive and efficient above ground pool cleaner. It employs a 40 feet swivel cable length for reaching every corner of the pool without getting tangled. The Dolphin Escape Pool Cleaner comes with an ultra-efficient plug and play 24-Volt DC motor which provides optimum power while conserving energy. The Dolphin Escape Pool Cleaner cannot climb the pool walls and the pool owner would need to clean them by hands only. 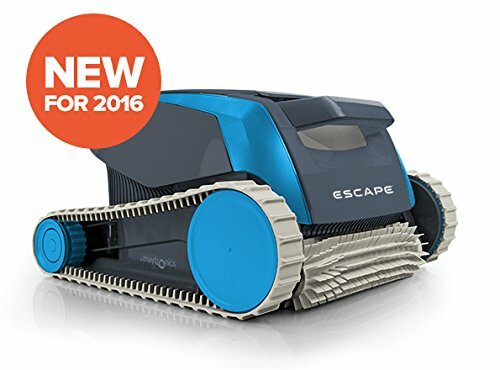 All in all, the Dolphin Escape Robotic Pool Cleaner can completely clean any above ground pool in less than two hours with its advanced technological features such as Hyper Grip and Hyper Brush. It packs a punch with a power efficient 24 volts DC motor which is plug and play to offer maximum convenience and power savings to the pool owner. Also, the long 40-foot tangle free cable is a welcome feature which helps the pool cleaner operate it without needing an extension cord. Weighing in at 10 pounds, the Dolphin Escape Automatic Pool Cleaner is portable and easy to use and it also comes with an inbuilt carry for easy handling. The 1 year manufacturer warranty makes this pool cleaner a good value for money products for cleaning above ground pools.